We stayed in the Borneo Rainforest Lodge located in the Danum Valley Conservation Area, Sabah, Malaysia, from 19 to 25 November to observe the wild orangutans and study about diversity of animals and plants. 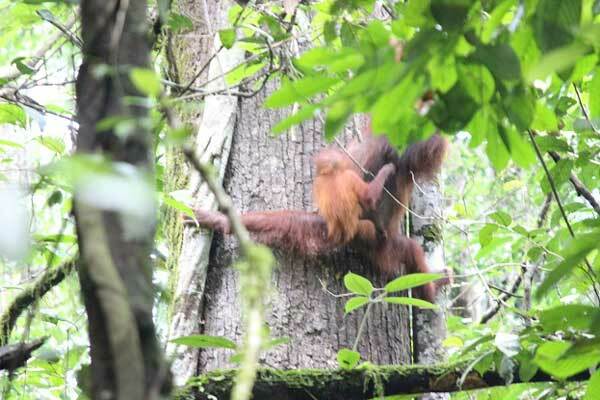 During these days, we could observe 10 orangutans, including 3 pairs of mother and child (Beth and Lom, Yaniti and Sely, and Sheena and Danum), other animals and various plants. By this observation, I think a mother's character is related to independence of its child. That is based on the fact that Yanti is lazy and Sheena is calm, and Sely went away at a distance of at most 10 meters from her mother and Danum went away at a distance at most 4-5 meters. Moreover, while Sely went away from its mother, she seemed not to be careful for her child at all. 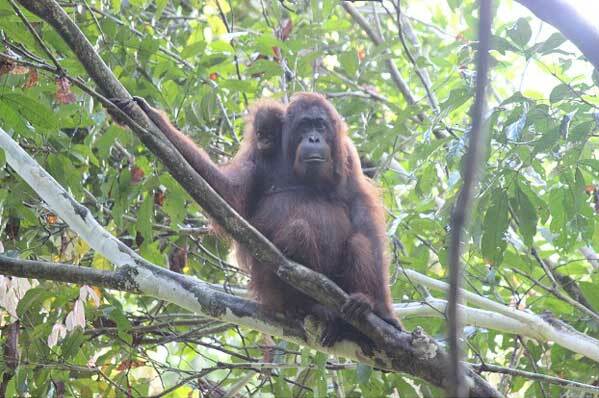 I also observed two interesting actions of 1-year old orangutan. Firstly, Sely broke off a tree and played with it. 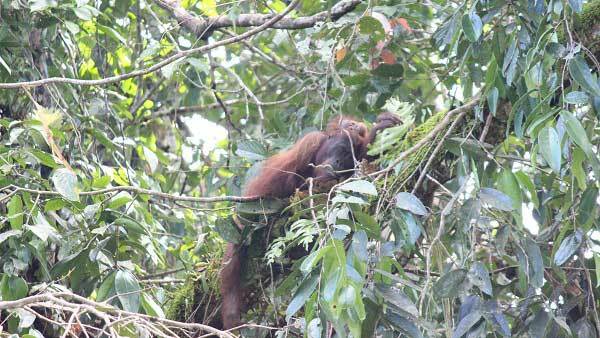 Secondly, Sely used a big leaf as a blanket while she was leaning on her mother. It is possible that the action is based on the rational tool use or choice.